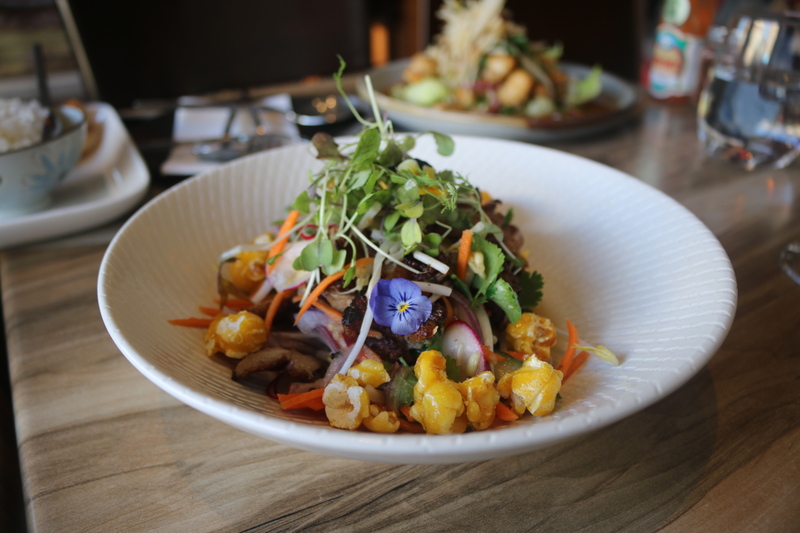 A modern take on traditional Thai food is what Sabai is all about. The husband and wife duo have innovated a new and creative menu that excites. The food is bold, balanced and presented with style. And did I mention totally delicious? In Thai, Sabai means to be chill. 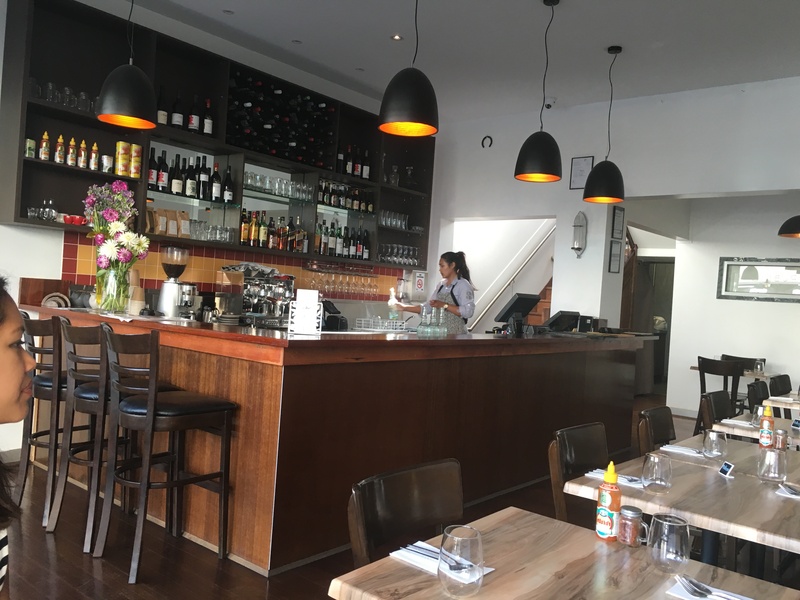 And the relaxed atmosphere supports that vibe where you can pop in to eat for a little or a long time. You can spend time with your loved ones eating and relaxing. In fact this has now sparked my new mantra. Eat and be chill. Yep I like it. The soft shell sliders were super cute. 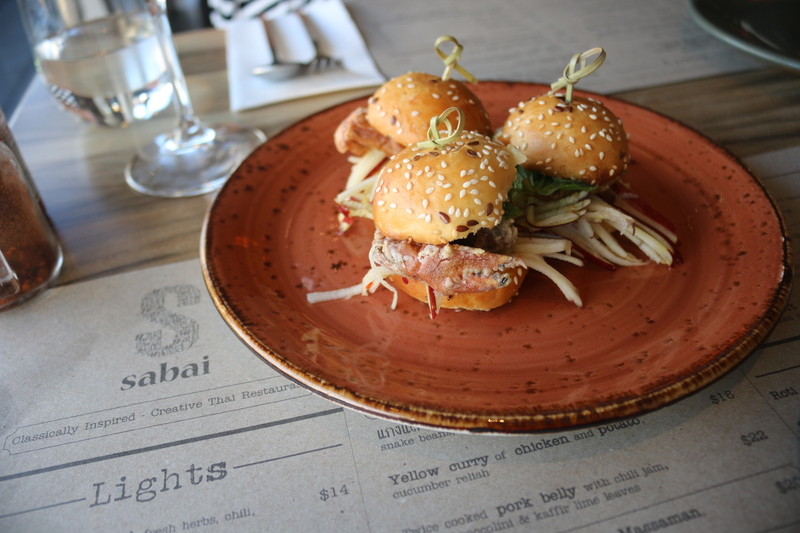 The mini buns were filled with crispy soft shell crab and a fresh apple slaw. I was worried I might get full on these because bread, but luckily the buns were fairly light so it wasn’t too filling. A great start to the meal. The only issue was deciding who got to eat the third slider out of the two of us. Slow cooking does wonderful things to meat, which is why the pork baby back ribs were melt-in-your-mouth and were falling of the bone. The ribs were covered in a tasty red curry glaze, which was amazing with the pork. It was absolutely delicious. When the duck salad came out I was in awe of its beauty. It was a colourful rainbow garden of deliciousness. The slices of duck were tender, the vegies were crisp and the herbs were fresh. The sauce had a lovely savoury zing and then there was the caramel popcorn. What? Yes you read correctly, caramel popcorn. It totally worked because it allowed me to add a bit of sweetness as I pleased. Granted I initially want to just eat all of the caramel popcorn on its own, but I found that throughout the dish I could add a pop of sweetness to enhance the flavour. It was awesome. The barramundi was cut into bitesized chunks, battered and fried. 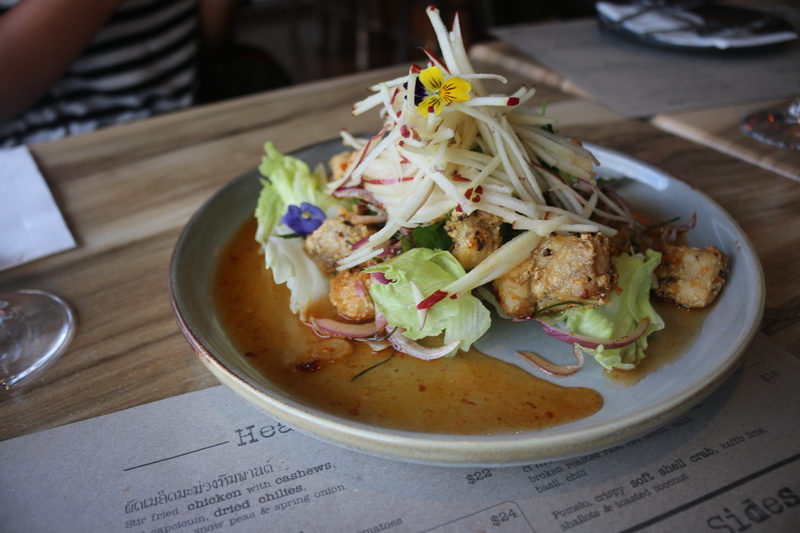 It was accompanied with a fresh herb and apple salad and a sweet and sour dressing with chilli and lemongrass. There were lots of punchy flavours; a great balance of sweet, sour, salty and spicy. 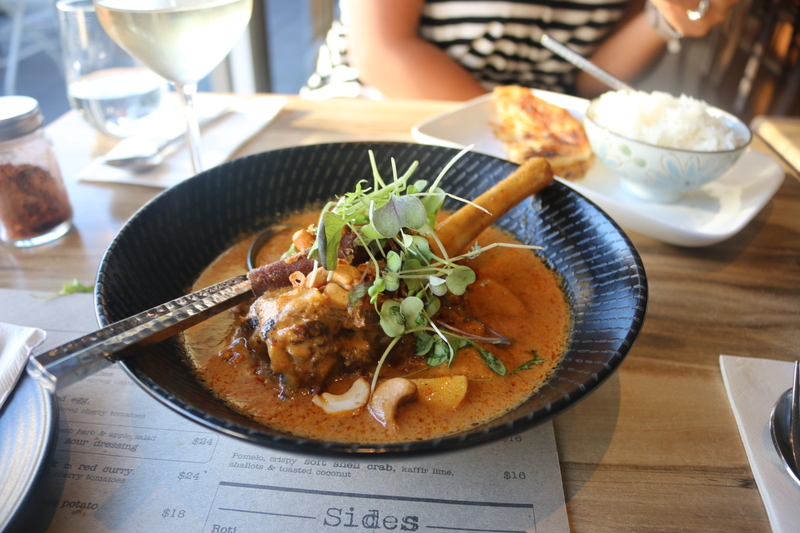 We were impressed when the lamb massaman hit the table. There was a big slow braised lamb shank sitting in the middle. The meat was soft and juicy and the curry was full of flavour. It had potatoes and cashews and a calming cinnamon flavour. It was delish. I liked that it had bold flavours but was light and not overly creamy or sweet. It came steamed rice and roti. Yum. Now onto dessert. 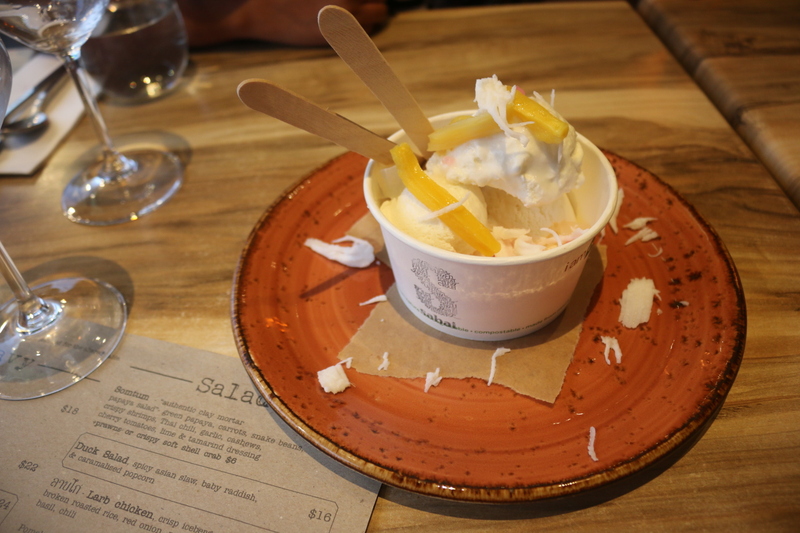 They make their own coconut ice-cream in-house and it’s super smooth and taste like fresh coconut. 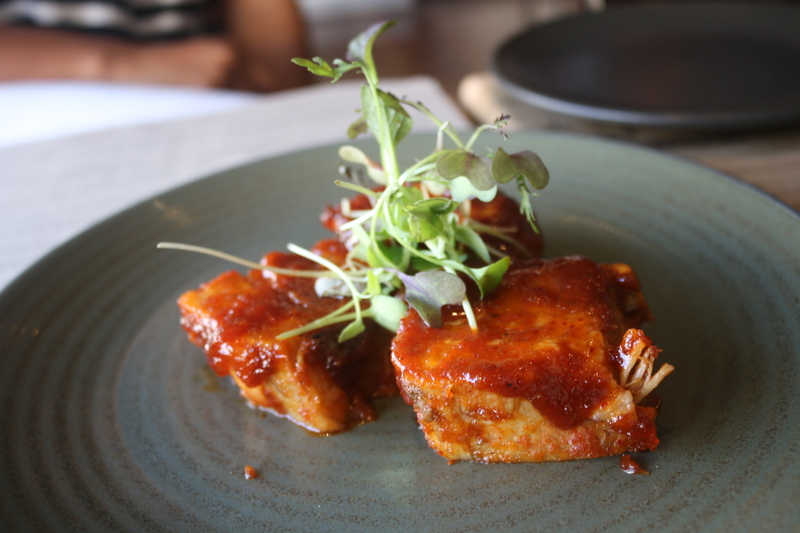 It’s served with a tropical assortment of jackfruit, lychee jelly and red syrup soaked water chestnuts. 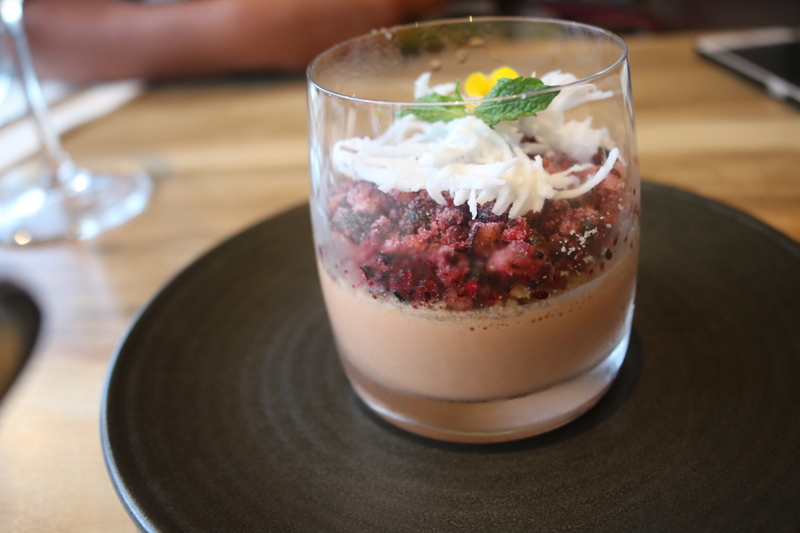 The Thai tea panna cotta had that lovely sweet condensed milk tea flavour and was balanced with the tartness of the crushed frozen berries, fresh coconut and a little sprig of mint. The affogato was unlike any affogato I had seen before. 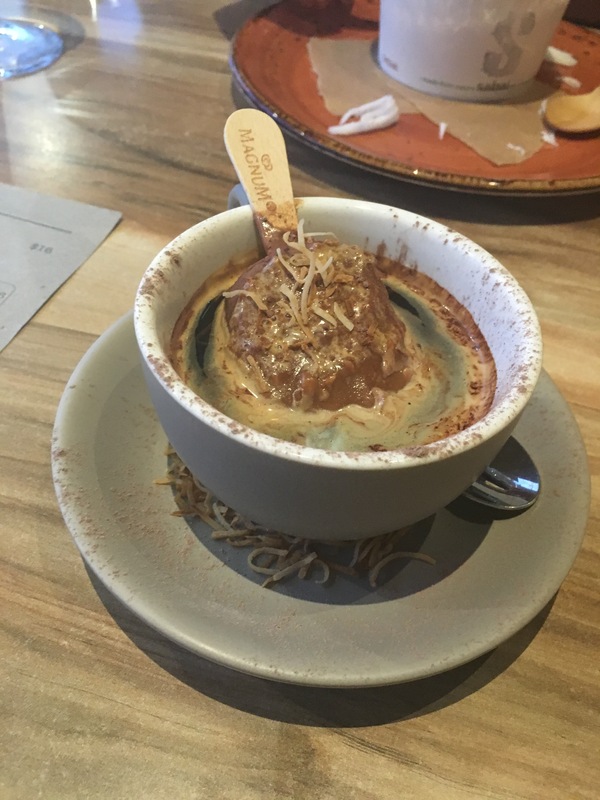 Instead of a scoop of ice-cream, there was a mini Magnum almond sitting in my Kahlua spiked espresso topped with toasted coconut. When you first pick up the mini magnum the chocolate is all melted and it is so good. 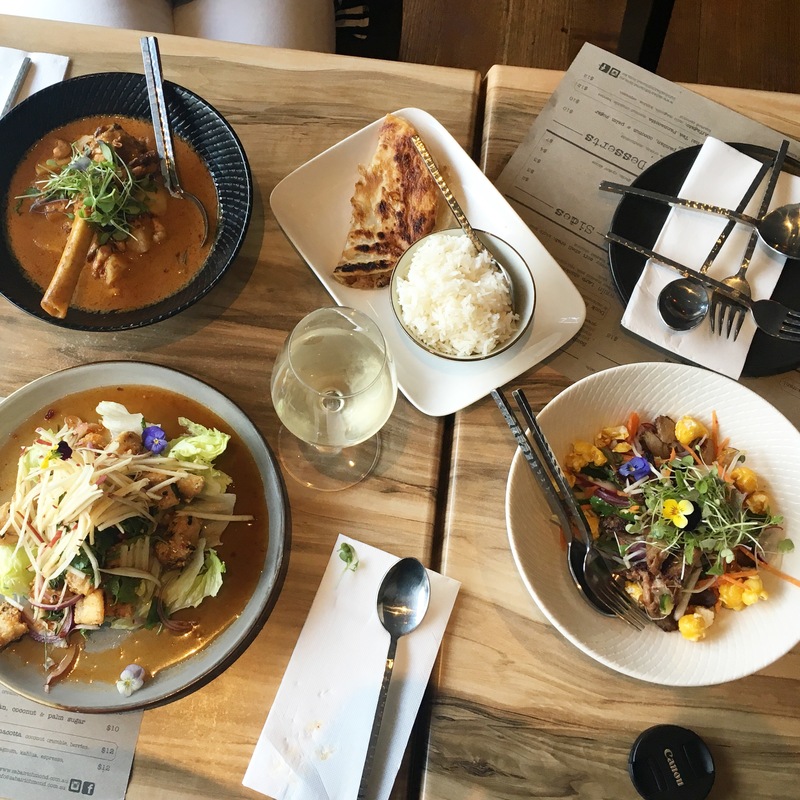 Each dish had a modern twist on Thai cuisine but the traditional Thai flavours were all there. It was full of flavour and presented with style.